Back when I worked at Lakeside Speedway, there was a guy named Scot Shamet who delivered the winners trophies from the local trophy shop each week. 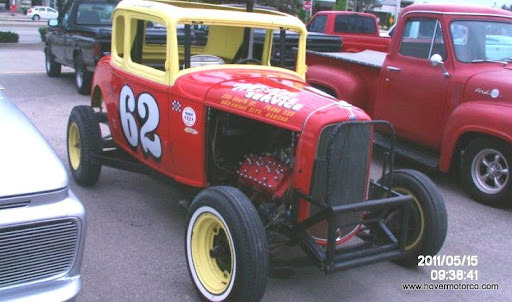 Now Scot was a certifiable Ford freak. He always showed up to the track in his primped and pampered Ranger pickup, and he was always decked out from head-to-toe with Blue Oval and NASCAR paraphernalia. He also had a distinct bias for anything Davey Allison, Yates Racing, or Jack Roush. Fast forward a few years, and it is clear that Scot’s core values haven’t changed. A quick look at his Facebook page reveals links, photos, and comments that cover everything Ford. He is a Gold Card member of every Roush Racing fan page. 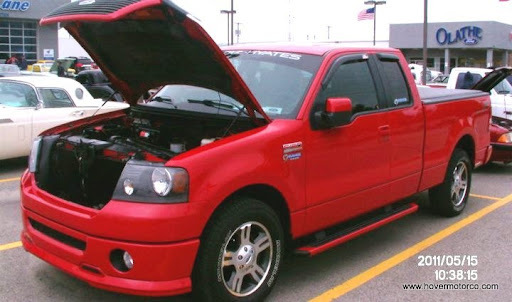 The only things that seem to have changed are that he has moved out of his Ranger and into a nice F-150 Super Cab, and he managed to pick up a girlfriend who can look beyond his Ford fetish. Unfortunately, I couldn’t make it to the All Ford Show at Olathe Ford this weekend. But when I learned that Scot was willing to take some pictures for us, I knew we were in good hands. He even broke out a new camera (with a wicked-sweet time/date stamp), to capture the cloud-covered festivities for posterity. The show was sponsored by the Mid-America Falcon Club, so there were plenty of Ford’s economy-minded classic on display. 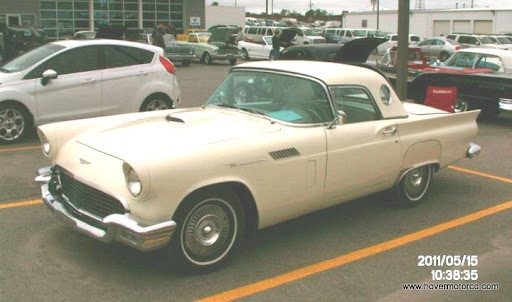 But there were also lots of Fairlanes, Ford hot rods, and of course Falcon’s kissin’ cousin, the venerable Mustang. There were plenty of late-model pickups to look at as well. When you’re talking about the number one-selling vehicle in the United States for like the last 526 years, you’re bound to get a good turnout at a Ford meet. There were several special edition Lightnings among the crowd, a few vintage examples, and of course, Scot’s shiny, red ride complete with Roush/Yates identification badging. 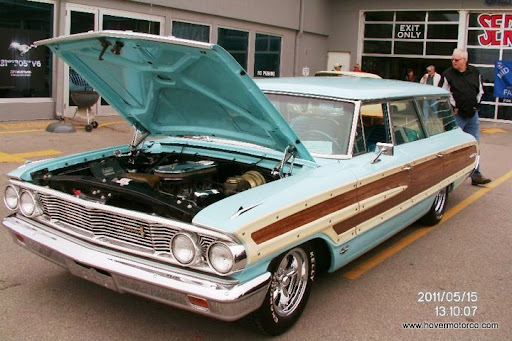 Standouts included a striking turquoise and fake wood-paneled ’64 Country Squire wagon complete with surfboard; a pair of white ’57 T-Birds; a historic-looking ’32 Ford that could have come off a modified stock car track in the 1940s, flathead and all; and a ’57 Ford Fairlane 500 convertible in my favorite color scheme, solid black with red guts. The show gave out several awards, including best-of-show, top-25, and club participation. Unfortunately, our photog didn’t bring home any hardware this time, in spite of the aching cleanliness of his truck. But if they had an award for most passionate owner, I’m pretty sure he would have dominated. If you’re in the same boat as me, and couldn’t make it to the All Ford Show at Olathe Ford this weekend, do what I did and check out Scot’s pictures in the slideshow below.